Run-of-the-mill materials aren’t exciting designers anymore. Polished concrete worktops are on the rise; with the need for individually crafted pieces steadily increasing. The natural qualities it possesses allow for each piece to be completely individual; the subtle differences are a distinct feature. The time of granite and quartz has come to a somewhat grinding halt; too shiny, too formal and too common. Polished concrete worktops offer an irreplaceable flair. The ability to look natural, whilst maintaining the character and encapsulating a visual texture not available from other materials. With the other solid surfaces used in worktops, you’re stuck with that slab of material. However, with polished concrete there are endless possibilities with the decorative elements, the sky is the limit. Polished concrete worktops; they are organic, filled with human nature and ambition. Whilst other worktop surfaces promise perfection; the faults and highlights of the concrete set it apart. The individual elements create something unique. Concrete has elevated from a mere commodity and has evolved into a distinct art form. Polished concrete provides a beautiful and contemporary substitute for architectural products and surfaces. From the moment of design conception, each piece is lovingly created and handcrafted to the absolute highest standards. The main aim is to provide a durable, functional concrete worktop that is capable of outliving its owners. Concrete countertops can be straight, curved, notched, and multi-level. The restrictions once applied to worktops, has no place here. 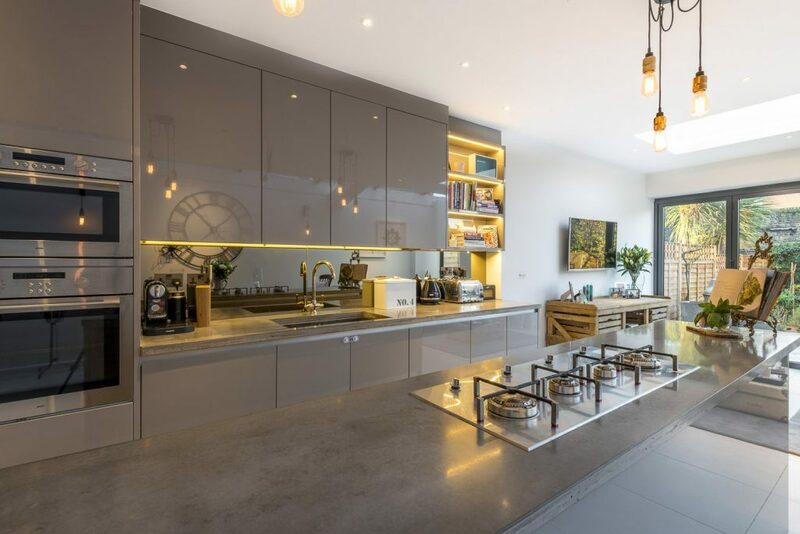 The versatility offered with concrete worktops is unparalleled; designers and consumers alike all rave about concrete’s talent to become any shape and practically any colour required. The classic shiny worktop look has begun to drop off in the past few years; concrete offers a beautiful matt finish which has become increasingly popular. 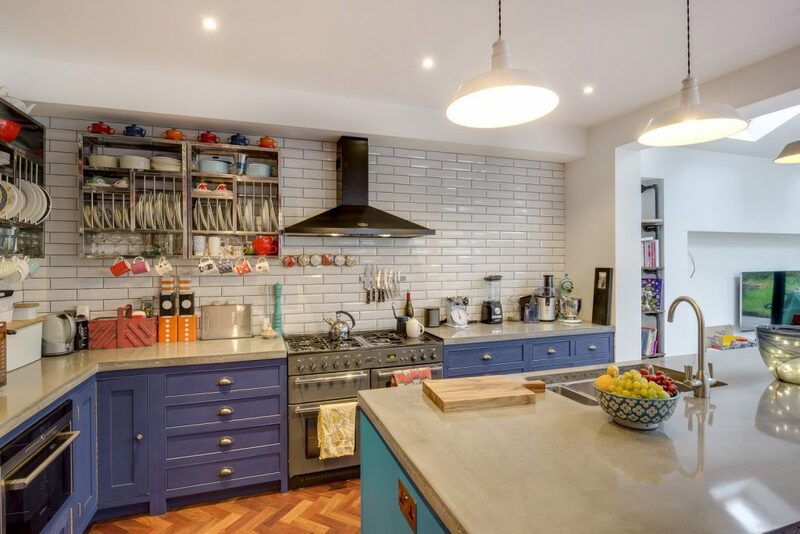 Although concrete worktops can take more maintenance than other options on the market, the end result is worth the effort. Applying a sealer regularly will aid in preserving the worktop. Even after years of heavy use, the concrete will maintain its radiant glow. However, some of the natural wear and tear can increase the colour pigmentation of the concrete, allowing a different element from the material to highlight itself. Durable and still functional, with a hint of elegance.